A new twist on an old Christmas classic. 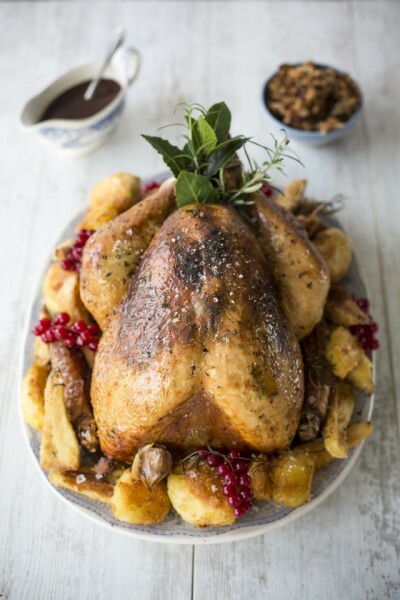 Not the traditional roast bird for the big day but the perfect recipe for those of you who would prefer to break from tradition. 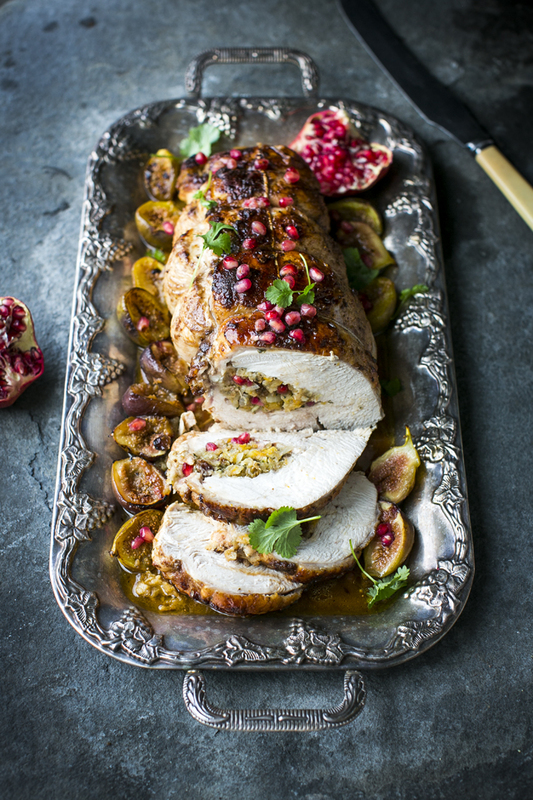 Subtly spiced with a ras el hanout butter and stuffed with a bejeweled stuffing, this turkey breast is rolled for easy serving. The only tricky part with a rolled turkey breast is the butterflying process, but most butchers will do this for you if you ask. Preheat the oven to 200˚C/400˚F/Gas mark 6. 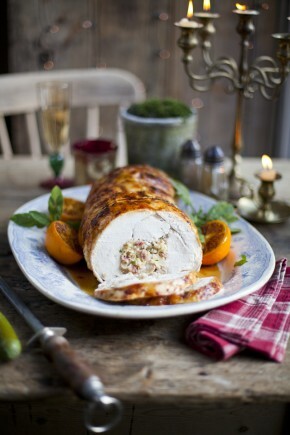 Butterfly the turkey breast or ask your butcher to do it for you. 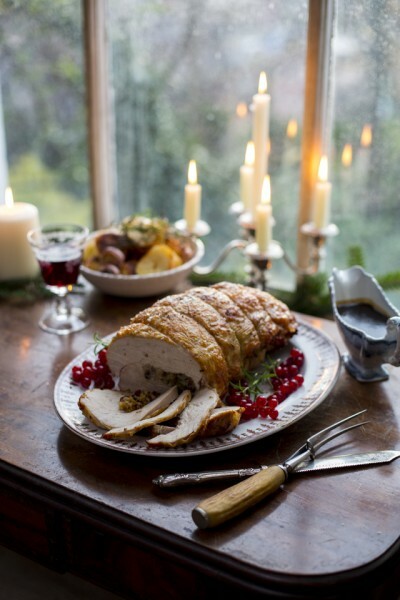 Lay it flat on a chopping board and pile on the stuffing down the centre. Carefully, tightly roll it up and then using kitchen string tie it in 2 inch intervals. 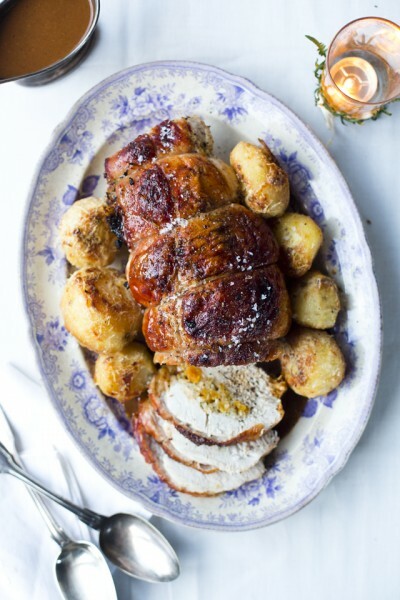 Place the stuffed and tied breast in a large oval heavy based pot with a lid. Rub all over with soft butter and season with ras el hanout, sea salt and ground black pepper.